Home » voicebox » Video of the Human Voicebox in Action! Video of the Human Voicebox in Action! 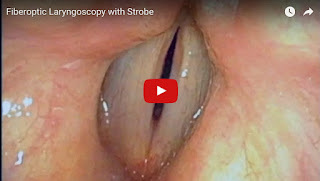 In honor of World Voice Day on April 16, 2017, I have created a new video showing how the voicebox is examined using a fiberoptic endoscope threaded through the nose. I created the first version of this video back in 2007 and given better and newer technology, I have decided to do a refresh including more info and examples. Of course, the video and audio quality is also way better compared to a decade ago. Check it out!